Narelle is one of our kind-hearted volunteers that you might regularly see at Be Uplifted Inc’s headquarters at Zillmere. Every Tuesday, Narellle joins in Be Uplifted Inc’s Tuesday Volunteer Day and participates in the craft, where she makes her unique pink ribbons. 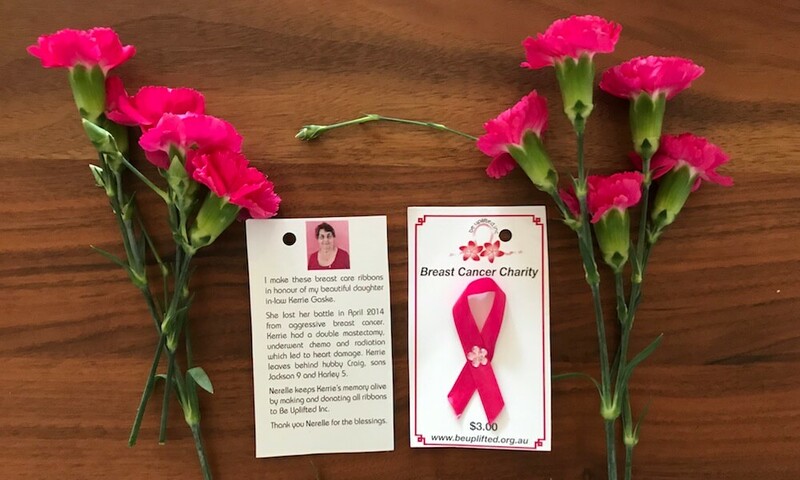 All up, Nerelle estimates that she makes about 50 pink ribbons each week. 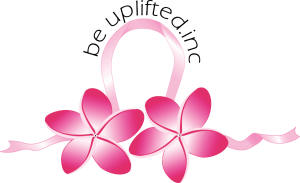 Be Uplifted sells her pink ribbons at our charity stores, at our community stalls and raffle tables at shopping centres (run by our effervescent volunteer Di), plus at other fundraising events. And of course each breast cancer patient that receives a “We Care” Hamper is given one of Nerelle’s pink ribbons. 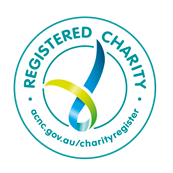 Narelle does her volunteering to honour her family’s memory and for the love of it. 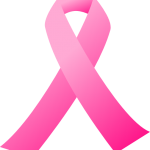 Narelle’s daughter-in-law passed from breast cancer after a long and hard battle, and her husband from prostate cancer. She enjoys the company and the good fun day with the other Be Uplifted Inc volunteers. 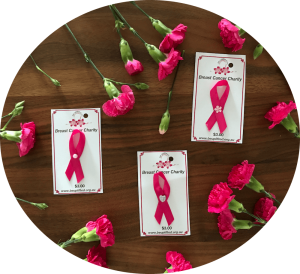 “I makes these breast care ribbons in honour of my daughter-in-law Kerrie Gaske. She lost her battle in April 2014 from aggressive breast cancer. Kerrie had a double mastectomy, underwent chemo and radiation which led to heart damage. Kerrie leaves behind her hubby Craig, sons Jackson 9 and Harley 5. Nerelle keeps Kerrie’s memory alive by making and donating all ribbons to Be Uplifted Inc. If you would like to join Narelle and the other Be Uplifted Inc volunteers every Tuesday for a chance to chat, meet new friends and contribute to a very worthy organisation helping breast cancer patients, become a volunteer with Be Uplifted Inc.